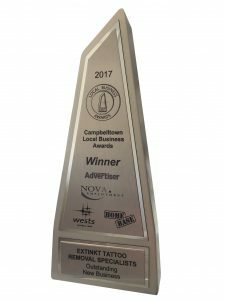 It’s been an incredible opening year at our South West Sydney tattoo removal clinic and we’d like to thank all of our amazing clients, family and friends for your ongoing support. We’ve met some truly amazing people, and have been achieving some remarkable results, with plenty more on the way. A big congratulations to all finalists, and other winners on the night. We’re really looking forward to what’s in store for the next 12 months!